The jaw-dropping video is said to have been filmed in the night sky above Engenho Novo, in Rio de Janeiro, Brazil, on Thursday. The footage has been sent to the US-based Mutual UFO Network (MUFON) which is analyzing the video. MUFON is the world's largest organization dedicated to UFO and alien research and maintains a database of sightings. Yesterday it was sent the footage with a witness report. MUFON does not release the names of witnesses on its database. 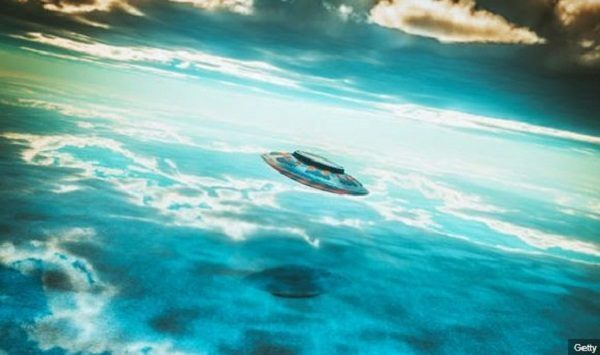 The report entitled "UFO fleet hovering at sky" said: "A friend made two videos with an iPhone 7 showing a UFO fleet hovering at Engenho Novo, in Rio de Janeiro city, Brazil. "He described it as pulsating, changing colored lights, from blue, green, to red and yellow, and in formation of mostly three. "They came from nothing and disappeared to nothing with five minutes approximate of duration." The first appears to show up to nine UFO orbs. To the right, three are in a triangular shape with one on its own. On the left are another apparent triangle formation and two other orbs. They appeared to grow and increase in the intensity of light, but are not moving. The second video is shorter with a more close-up view of the orbs. It is not the first time such static, but pulsating objects have been filmed in apparent formations and put forward as potential UFOs.